Who wants to talk politics? 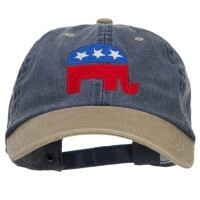 If you are as fervent as the next guy when it comes to politics, show your passion with our Political Embroidered Caps. Our caps will be a conversation piece so that you can talk about the ideology that you support. Everyone has the right to form their own opinions, judgments, and attitudes in this nation, especially manifesting in the form of voting for leaders in politics. The freedom of expression is an important right that is represented in these Political Embroidered Caps. Featuring patches and lettering of the American flag, political parties, presidential slogans, and other politically-related expressions, these embroidered caps allow the wearer to display their political stances and outlooks. Like the classic cap, the hat features a round cap with a stiff bill. The caps come in different styles, from solid colors such as the patriotic red, white, and blue, to two-toned and camouflage print designs. 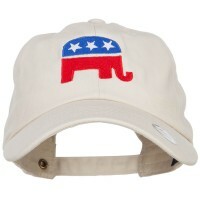 Each cap serves to make a statement about the nation’s politics and can even stir up important discussion. Wear a Political Embroidered Caps and use it to campaign or to remind others to register to vote, whether it is election season or not. Politics can bring endless conversation to anyone who is passionate about it. 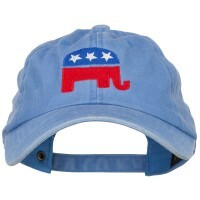 Whether it is the election fever or just an ordinary day, you can show support to your favorite political party by wearing the Embroidered Politics Caps. 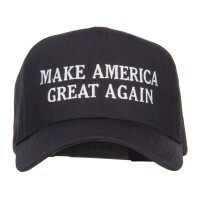 If you support the current administration, what better way to show your support by wearing the Make America Great Again Embroidered Caps that feature the campaign slogan of President Trump. It may cause some reaction to some people but it is your genuine way to show support to the current leader. 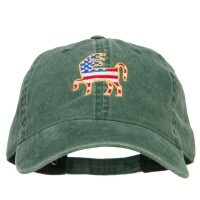 There are many designs that are available for the Political Caps. 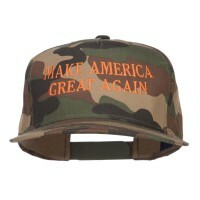 You have the option to wear caps displaying your favorite political party. Are you a democrat? Then wear the Democrat Sayings, Phrases Caps. Republicans can also enjoy a similar design bearing their logo. Political Hats are great worn during the election season. If you don’t want to divulge the party that you support but still urge people to exercise their rights, you can wear the Embroidered Country Cap to remind everyone to vote and uphold their responsibility as a citizen.